Learn how meditation and mindfulness-based tennis psychology (MBTP) can help you perform your best in matches with Neil Endicott. He will show you how to play more confident and effective tennis by training the mental part of your game through MBTP. 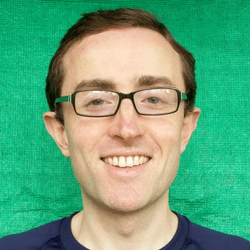 Neil is a coach and author, and has written numerous articles that have been featured in publications such as The Huffington Post and Tennis Magazine. Even Novak Djokovic has talked about how mindfulness helped him reach new heights in his career in his book Serve to Win.